And Brian C. Evander, Esq. On March 13, 2018, The Florida House of Representatives overwhelmingly passed (by a vote of 101-11) the Senate’s bill to repeal the ban on the sale, possession, and use of medical marijuana in smokable form. On March 18, 2019, Governor DeSantis signed Senate Bill 182, an act relating to the medical use of marijuana; amending Section 381.986, Florida Statute (“F.S.”), and the Medical Marijuana Research Act into law, which amends Section 1004.4351, F.S. This Act redefines the term “marijuana delivery device” to provide an exception to the requirement that such devices must be purchased from a medical marijuana treatment center for devices that are intended for the medical use of marijuana by smoking, and the term “medical use” to include the possession, use, or administration of marijuana in a form for smoking. Per this Act, qualifying physicians will now be able to issue a physician certification for marijuana in a form for smoking to qualified patients who are 18 years of age and older. This Act requires a qualified physician to submit specified documentation to the Board of Medicine and the Board of Osteopathic Medicine upon determining that smoking is an appropriate route of administration for a qualified patient, other than a patient diagnosed with a terminal condition. 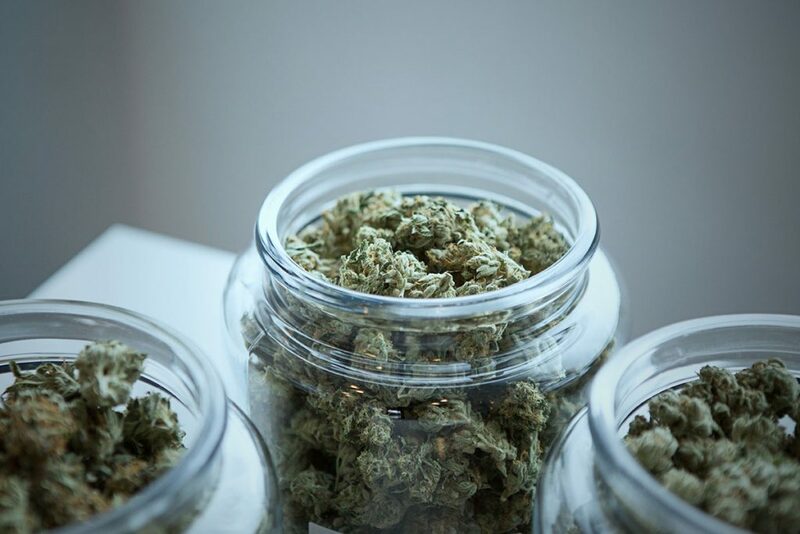 Patients will be permitted to purchase a 35-day supply of marijuana in a form for smoking, which cannot exceed 2.5 ounces unless an exception applies. A qualified physician may request an exception to the daily dose amount limit, the 35-day supply limit of marijuana in a form for smoking, and the 4-ounce possession limit of marijuana in a form for smoking. The Act also allows qualified patients to purchase and possess a marijuana delivery device intended for the medical use of marijuana by smoking (e.g., bongs, pipes) from third party vendors in addition to Medical Marijuana Treatment Centers. It also authorizes doctors to increase their on-hand supply of medical marijuana from 70 days to 210 days and requires doctors to provide data to be used for research into the effects of smoking. Patients who are minors must have a terminal condition to qualify for a prescription and must also get a second opinion from a pediatrician before smokable pot can be dispensed. The Florida Board of Medicine and the Florida Board of Osteopathic Medicine regulate the qualified physicians that can prescribe medical cannabis (Section 381.986(3-4), F.S.). Only qualified physicians can prescribe cannabis (medical marijuana). To become a qualified physician, the applicant must hold an active, unrestricted license as an allopathic surgeon or an osteopathic surgeon, and must complete a two-hour course and subsequent examination (Section 381.986(3)(a), F.S.). Further, the applicant cannot be employed by, or have any direct or indirect economic interest in, one of Florida’s cannabis companies or testing laboratories (Section 381.986(3)(b), F.S.). 1. A list of other routes of administration, if any, certified by a qualified physician that the patient has tried, the length of time the patient used such routes of administration, and an assessment of the effectiveness of those routes of administration in treating the qualified patient’s qualifying condition. 2. Research documenting the effectiveness of smoking as a route of administration to treat similarly situated patients with the same qualifying condition as the qualified patient. 3. A statement signed by the qualified physician documenting the qualified physician’s opinion that the benefits of smoking marijuana for medical use outweigh the risks for the qualified patient. As amended in Section 1004.4351, F.S., Medical Marijuana Research Act, beginning August 1, 2019, and quarterly thereafter, the Department of Health shall submit to the board a data set that includes, for each patient registered in the medical marijuana use registry, the patient’s qualifying medical condition and the daily dose amount, routes of administration, and forms of marijuana certified for the patient. The department shall also provide the board with such data for all patients registered in the medical marijuana use registry before August 1, 2019. The department shall adopt rules to regulate the types, appearance, and labeling of marijuana delivery devices dispensed from a medical marijuana treatment center. The rules must require marijuana delivery devices to have an appearance consistent with medical use. The Florida Department of Environmental Protection is tasked with implementing and enforcing rules regarding waste from processing cannabis under Section 381.986(8)(e)(10)(c), F.S., and the Florida Department of Agriculture and Consumer Services is tasked with testing requirements for contaminants that are unsafe for human consumption in cannabis edibles under Section 381.986(8)(e)(10)(d), F.S. Michael R. Lowe, Esquire is a Florida board-certified health law attorney at Lowe & Evander, P.A. Brian C. Evander, Esquire and Mr. Lowe regularly represent providers, physicians and other licensed health care professionals, and facilities in a wide variety of health care law matters.